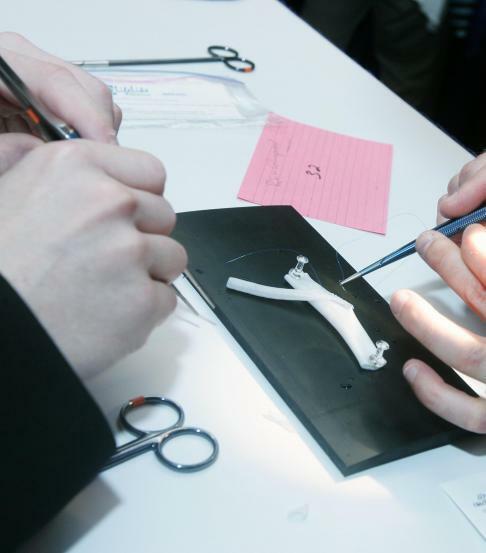 The Vascular Anastomosis Kit is for end-to-side anastomosis training. Includes our Vascular Anastomosis Model ( 3۝ Femoral Artery and 6۝ Saphenous Vein), Small Mounting Pad and Pins. High Fidelity. Ready for Use at Home, Lab or Hospital. Re-usable. Long Shelf Life. No Refrigeration Required. Easy to Dispose. Non-Toxic. Non-Latex. Non-Oily. Packed in Water.